On our October anniversary vacation, Abby and I ate twice at Moab Brewery, which we like a lot despite the crowds. They have an entire menu section devoted to vegetarian food, and from it one night I ordered their legendary veggie burrito, which is made with broccoli, spinach, mushrooms, artichoke hearts, tomatoes, bell peppers, corn, walmuts and pineapple wrapped in a flour tortilla with enchilada sauce, cheddar and jack cheeses, served with veggie chili, salsa, and sour cream. 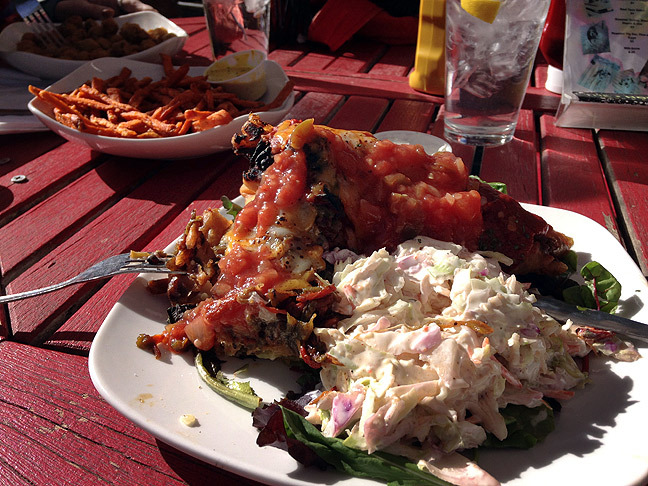 This is a mountain of vegetarian amazement. 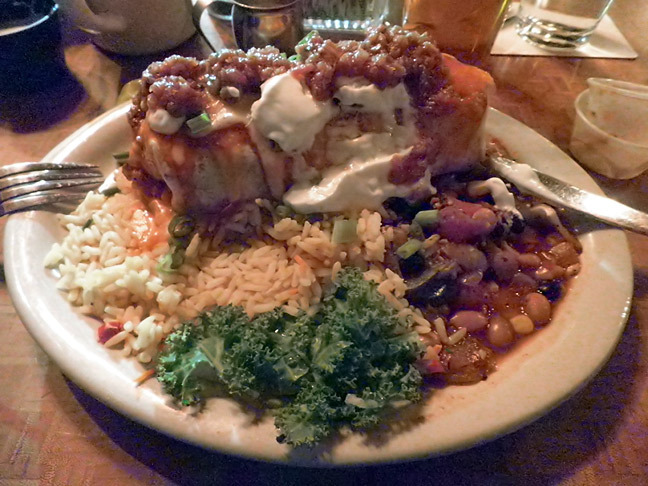 Also on the road, I got this very generous, very tasty chili rellenos at The Hollar in Madrid, New Mexico. 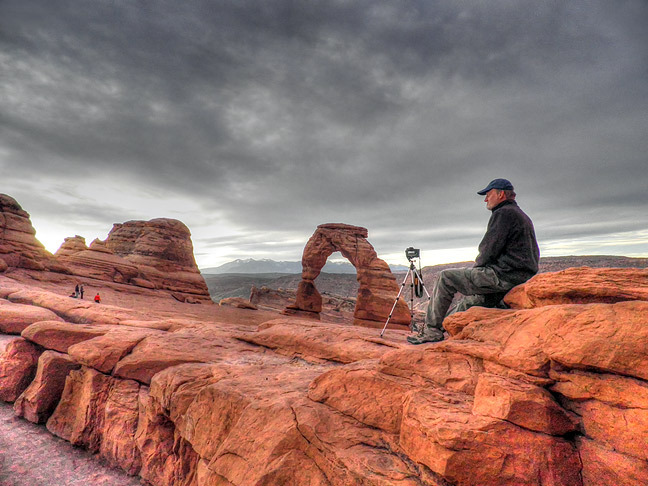 You humble host watches the light change during an early morning visit to Utah’s iconic Delicate Arch in October 2014.